Many home gardeners are choosing pine straw to mulch their landscaping beds due to the affordability and attractiveness of this organic mulch. Pine straw will also help to improve the quality of your soil as it decomposes over time. Calculate how much pine straw you need for a landscape by measuring carefully prior to placing your mulch order and you will be sure to have enough pine straw to cover your garden areas. Measure the length and width of your landscape area in feet and write down these measurements. Multiply the measurements together to determine the square footage of your landscaping area. 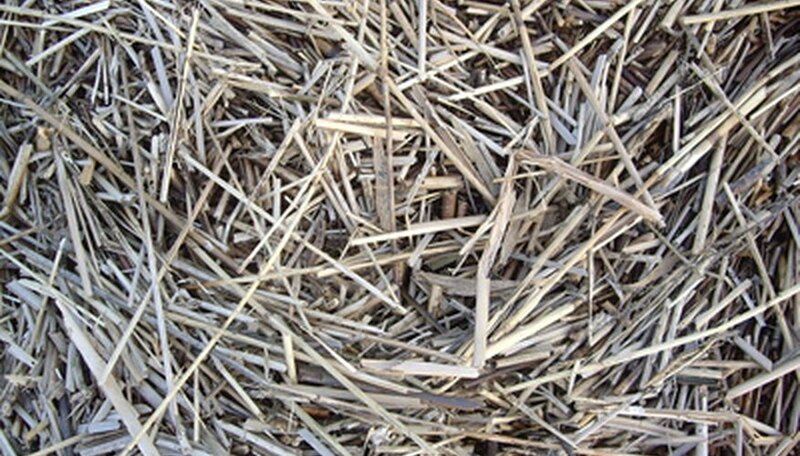 Decide whether you want to apply the pine straw in a 3-inch layer or a 2-inch layer. A 3-inch layer of pine mulch is optimal when gardeners are applying pine mulch for the first time to a landscape area. Purchase one bale of pine straw for every 100 square feet of landscape area to apply the pine straw in a 2-inch layer. Purchase one bale of pine straw for every 50 square feet of landscape area to apply the pine straw in a 3-inch layer. The latter application recommendation is thicker because the pine straw will settle appreciably, especially in the initial application. A 50-pound pine straw bale will provide six cubic feet of pine straw. To apply pine straw in a three-inch layer, you will require a half-pound per square foot of landscaping area.